My first exhibition was at Mary Place Gallery, Paddington, (Sydney, Australia,) in 2006. Being a jazz singer myself I was inspired to paint local jazz musicians that I knew or had worked with. Three of the musicians played at my opening. 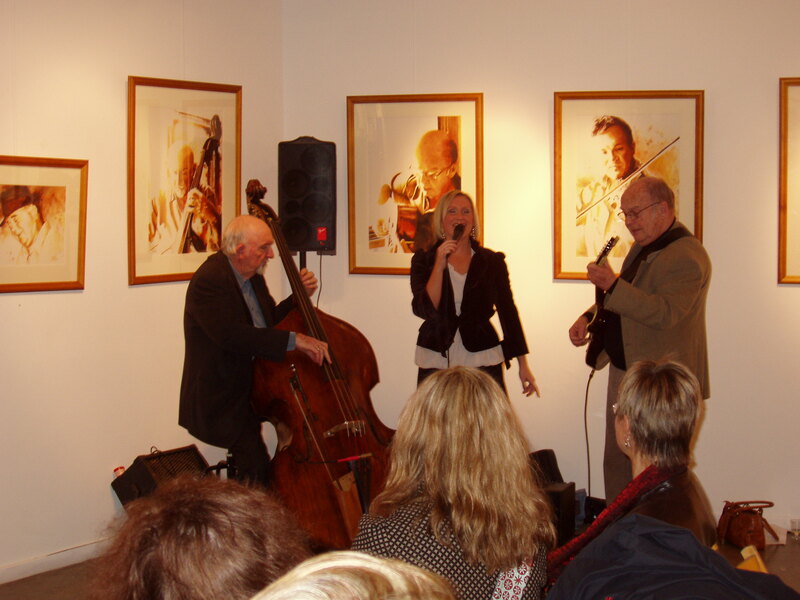 Pictured here, Emma Pask , jazz vocalist, Ed Gaston, Acoustic Bass, George Golla, guitar. These works were mostly watercolour on Arches Paper, with some acrylic on canvas.